Van Haren Publishing is the world’s leading publisher in best practice, methods and standards within IT Management, Project Management, Enterprise Architecture and Business Management. 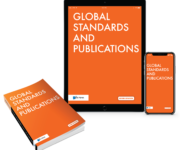 We are the official publisher for some of the world’s leading organizations and their frameworks including: The Open Group , IPMA, ASL BiSL Foundation, IAOP® and IACCM. This catalog will provide you with an overview of our most popular and upcoming titles (including courseware), but also gives you a quality summary on internationally relevant frameworks. 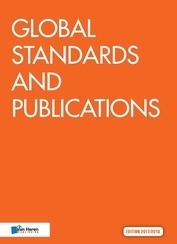 Van Haren Publishing is an independent, worldwide recognized publisher, well known for our extensive professional network (authors, reviewers and accreditation bodies of standards), flexibility and years of experience. We make content available in hard copy and digital formats, designed to suit your personal preference (iPad, Kindle and online), available through over 50 distribution partners (Amazon, Google Play, Barnes & Noble, Managementboek and Bol.com, etc.) and over 700 outlets worldwide.